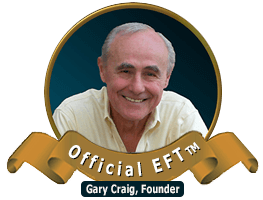 You no longer need to Login to view the EFT advanced products or Gary Craig.s EFT Community. They are now freely available to everyone without cost and can be accessed at our Advanced Products Page. Do nothing and your payments will continue as voluntary monthly donations to help support my efforts and bring Official EFT to more of those in need. My gratitude goes out for your assistance. If you wish to discontinue your contributions ... or change the amount ... just let me know here. I will handle your request immediately.